Minister of Solid Minerals, Kayode Fayemi, has said Bola Tinubu remains a leader he would continue to hold in high esteem. 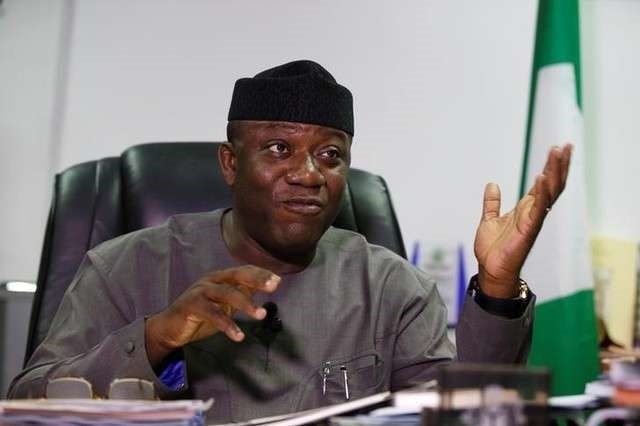 The Minister of Mines and Steel Development, Kayode Fayemi, has dismissed reports of a rift between him and the National Leader of the All Progressives Congress (APC), Bola Tinubu. The former Ekiti governor was reacting to a report that the once cordial relationship between him and Tinubu had strained. Fayemi said: “Normal news don’t sell. And what I mean is, news that is not sensational, not excitable and all that. What sells is negative news. ”Asiwaju and I have no problem. What you defined as chummy is not less chummy except for the fact that Asiwaju tends to spend considerable amount of time outside of Nigeria now than he used to at that period you referred to. ”And also I have a responsibility to the Nigerian nation. Asiwaju is one person who understands what this job entails. ”He has been involved at the highest level so he knows that out of sight is not always out of mind. ”And we too cannot accuse him of forgetting us because he is attending to maybe his business interest or other interest by working round the clock outside the country. There have been speculations in several quarters that the relationship between Tinubu and Fayemi turned sour, following the latter’s lost to incumbent Governor Ayodele Fayose, in the 2014 Ekiti State Governorship election.